 The 21 day Aligned Group coaching course came to Bridget after she spent a year out of alignment, ignoring her intuition and forcing things to happen that just weren’t meant for her. Her year was full of resistance, low energy and she just felt like she wasn’t getting anywhere. Along with that, Bridget has pulled the main growth moments and themes that have popped up while working with over 80 coaching clients on their goals, growth and fulfilment journey, carefully crafted a course that will benefit everyone. This 21 day online group coaching course is guaranteed to have you feeling more in alignment with your goals, growth and fulfilment than ever before (as long as you’re showing up and putting in the work). You are hitting your head against a brick wall in one or more areas of your life, no matter how hard you try you’re just not getting anywhere? Nothing ever goes your way, there is always resistance from the universe somewhere, somehow? Other people’s opinions and projections alter your mood in an instant? You have no clear direction? You’re living in the past or the future but never in the moment? You need guidance and support crafting your own goals? Being surrounded by like minded people on a similar journey would feel fulfilling and serve you well? To be in alignment means you know who you want to be, you are clear on how you want to be showing up every single day and you know where you’re heading while consciously taking aligned action to work towards that. When you are aligned you will feel lighter, passionately energised, consciously present and wildly fulfilled. Both the little things and the big things will just feel right. "It’s been so refreshing allowing myself to have the strength and courage to make changes in my lifestyle that no longer serve me and making goals that align with me, my values and vision." "My biggest aha moment from the course has been learning how to link the why’s to each of my goals, that’s something that I have always missed out when setting goals, but now I feel such a sense of determination because there is a reason behind each one that is bigger than me!" "One of my proudest moments would have to be releasing so many negative habits or beliefs that haven’t been serving me, since releasing these I have noticed how much more productive, organised and focused I have been." "Something that I've found value in is really being aware of my thoughts and changing them or questioning them, instead of letting them be in control." "The most valuable training for me was the one all about routines. I have always struggled with mornings. I now get up at 6.30 every morning, spend 5 minutes listening to affirmations in bed, make my bed every morning, spend another 10 minutes tidying something in the house, listen to music, prepare my kids a nourishing breakfast ready for when they wake. This has definitely helped me feel like I’m in control of my day, I feel productive, organised, focused and happy. " "My biggest growth moment has been recognising I now have the desire to show up and get things done. It's like a pull to do the things I want to do rather than a push." "So after the first training I decided to let go of some people in my life. I feel like the universe is testing me!! I am continuing to learn more about how to deal with this. I am tuning in to my feelings and reactions and being more conscious." "I have super enjoyed releasing my negative energy I have been holding, it’s amazing feeling lighter and more positive and ready to face the world." "Getting my goals down on paper has been an awesome start. These sessions, have been a game changer - mainly because it really makes me stop to think and be accountable for my behaviour and thoughts!" "I am proud of overcoming my fear and worry about doing this in a group setting. Silly I know. This has been a great thing to be part of and to see everyone's comments and how supportive everyone is of each other and the process. It has been truly amazing to be part of and all the women in this group are incredible." If we don’t consciously identify what we’re holding onto, work through it and actively release it, it is always going to be there creating friction in our lives and taking up precious space that we could be filling with joy, presence and fulfilment instead. The first step to becoming Aligned is releasing and creating space while doing so. We are going to choose to let go of anything that we have been holding onto which is no longer serving us. Routines are the strong foundation on our journey to prioritising our holistic health and building a lifestyle where we feel aligned. Without them we can end up feeling overwhelmed, unproductive and disempowered. We’re going to dig into creating both morning and evening routines which are empowering, set us up for success and purposefully set us up for how we want to feel. We look at our health as a whole, not just focussing on one area but all of them, knowing that our physical, mental, emotional and spiritual health are all connected and closely woven together. We will be digging in and crafting our own holistic health goals focussing on physical health and nutrition as well as our mental, emotional and spiritual health. Goals are the bridge between where you are right now and where you want to be. When crafted well, goals will set you up to be more focussed, passionate, full of purpose and aligned. Learn how to write empowering goals with conviction from the Queen of Goals herself while you supercharge your success. Daily journaling is a powerful tool when it comes to achieving your goals as it reaffirms what you’re working towards and gives you clear direction and daily purpose. It brings your goals to a deep level of consciousness which amplifies your success and brings you straight back into alignment. Learn a number of ways to journal, create your own journaling ritual with the support of an endless number of journaling prompts and ideas. What if I can’t make it to the live trainings? 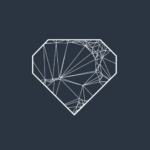 We try our best to hold the live trainings at a time that works for the majority of Goal Digger’s as well as try to make a live available for each member of the group. However, all lives are instantly uploaded and are there for you to watch and work through at your own pace. You have lifetime access to the group, the videos and the content, as long as Facebook is up and running. Which platform do you use for the group coaching program? A private facebook group that you will be sent a link to join once payment has been confirmed. Access to facebook, a journal or notebook and a pen. There is the option to split the full amount into two payments, with the second instalment being paid within two weeks from the first payment. E.g. two instalments of $199.50 or VIP two instalments of $274.50. Send an email to get this set up hello@goaldiggersnz.com or fill out the contact form below. Do you have any questions that you would like to work through which may be holding you back from joining Aligned? Are you wanting to sign up with the payment options mentioned above?